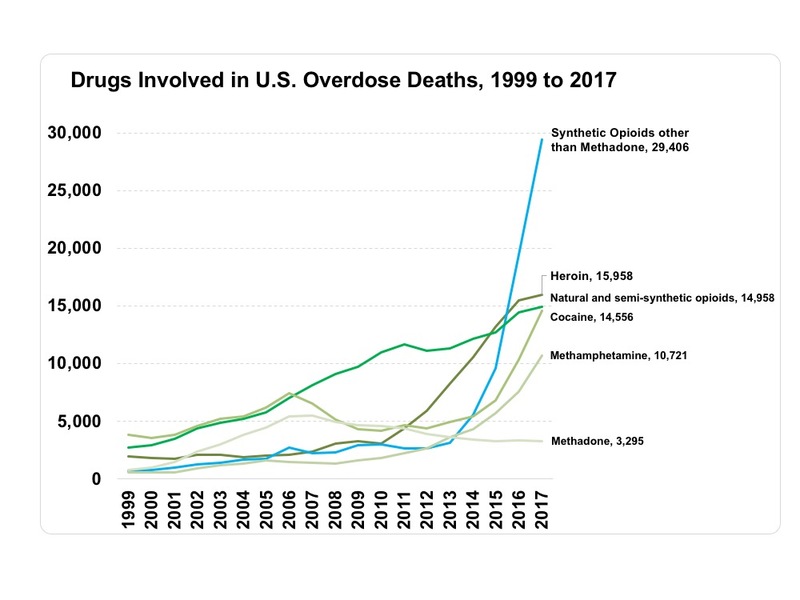 If enforced, this could reduce the number of opioid deaths in the U. S.
It wouldn’t surprise me one bit to find out the Chicomms have been intentionally dumping this poison in the US black market. I would not trust the Chinese for a second. Every money making enterprise in Red China is controlled by the government/Party and they will not gladly abandon the profits to be made by sending drugs to the US. That’s about 8X as many deaths as are attributed to scary black rifles in the USA every year. Why isn’t the prog borg going ballistic over this issue? And why didn’t Jugears do SOMETHING (ANYTHING!) to save the children? It wouldn’t surprise me to discover the man God Barry was aware of the crises and did nothing about it. Liberal complaints about the opiod crisis tend to be directed at “BIG PHARMA” which plays a very small part in the problem. It’s not obvious that anything Xi says has anything at all to do with what China actually does. And nothing he says is likely to influence the American consumer market. The fundamental problem remains; there seems to be no way to convince persons who wish to consume drugs which will eventually kill them to take up some other hobby.